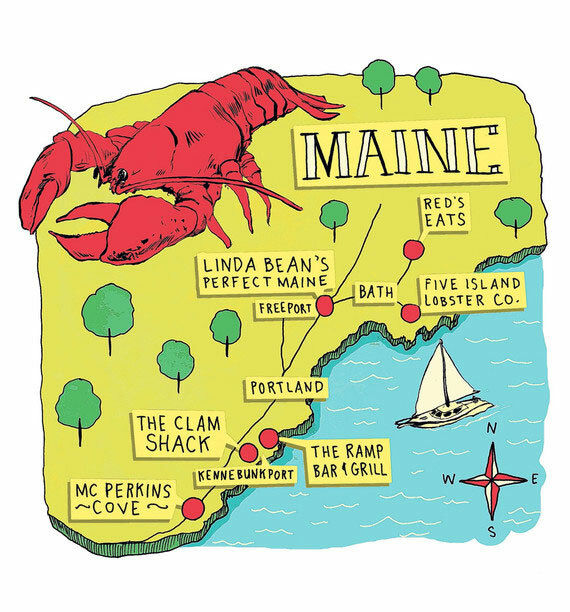 Levy Creative Management artist MICHAEL BYERS creates a great map for those in search of the best lobster rolls in Maine. This was done for an article in this past weekend edition of the Wall Street Journal. The map is for those “Scouring Maine’s southern coast for the tastiest, heftiest, just-out-of-the-ocean-freshest takes on the classic summer sandwich.” If only we could import some of these sandwiches to NYC :).